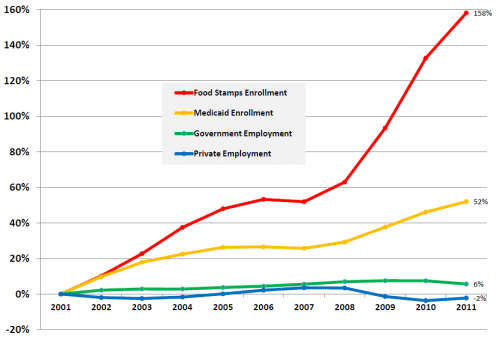 What is the budget for food stamps? Can anyone tell where this money is coming, when it was voted on by any one??? trying to follow the links back to the chart on the Penn site. No can do. this is the kind of thing that drives me nuts. like-minded sites start copying "stuff" that ends up being no attributable. This is booger blogging. The chart above reshuffles the absolute numbers into % increases. Learn how to use the interwebs before commenting. Just because your limited brain can't find the information doesn't mean it doesn't exist. Here ya go LarryG... original source is a presentation by the Pennsylvania Secretary of Public Welfare. 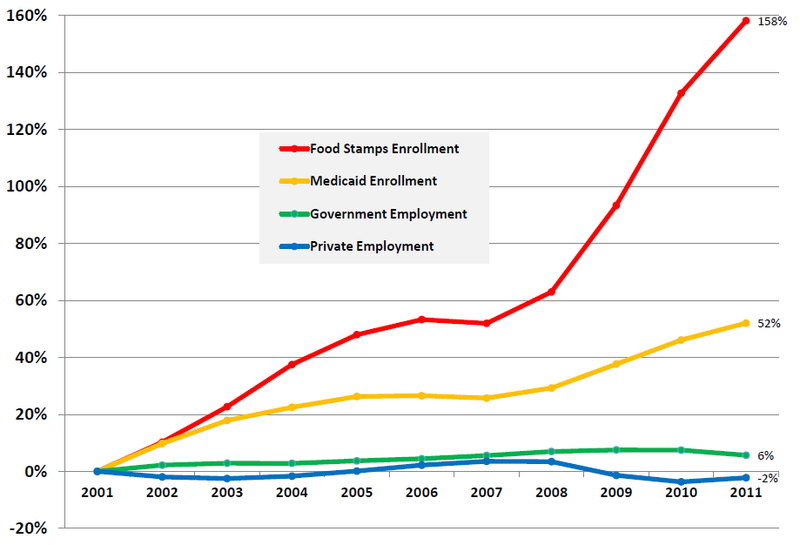 At first I thought the report seemed to say that 150% of their population was on food stamps. Then I realized this must be showing %changes rather than total amounts. Without numbers for where you are starting from this information is of limited value.